Better Than Never: Published in The Summerset Review! Published in The Summerset Review! Over the weekend, the newest issue of The Summerset Review came out, and I'm in it! 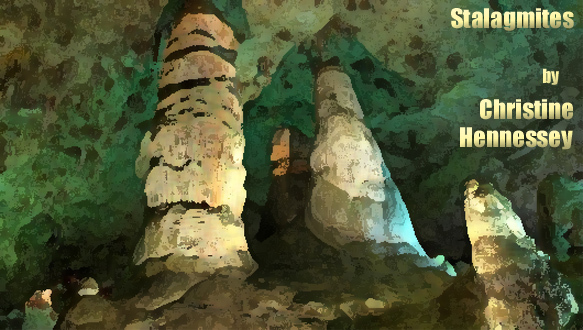 My short story, "Stalagmites," is now online for your reading pleasure. I'm especially excited to see this story in print, because I've been working on it for so long - I started it right before I entered the MFA program, and workshopped it in Steve Almond's class during my first semester. Since that initial draft, I've revised it drastically three times, tinkered with it countless times, and workshopped it again. It was rejected nineteen times, but many of those rejections were kind and/or personal, so I knew it was just a matter of time and revision. One of the funny things about this story is that the title has changed with each revision. The longest running title was "Nothing Like a Real House," which was a line from a scene in the story. When that scene was later cut, the title no longer made sense. I renamed it "Stalagmites" right before the last round of submissions, so seeing it in print under that name feels a bit like looking at a vaguely familiar stranger. If you decide to read my story, thank you, as always, but also: read the rest of the journal, too! It's a great issue, and I'm honored to be a part of it. 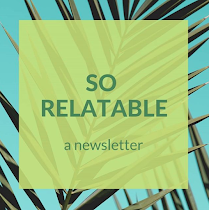 If you like this blog, you'll love my weekly newsletter. Sent every Sunday morning, it's about creative projects, ambitious goals, great reads, delicious snacks, tiny budgets, and my latest Trader Joe's obsession. Hope to see you there!